This scarf is knit using Jamieson's Double Knitting 100% wool yarn and is from Simply Shetland. 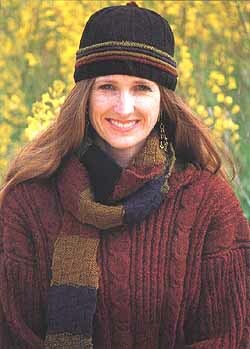 It is shown being modelled with the Hjaltland Pullover and the Eudora Hat. The design is by Gregory Courtney and is classified as a "Beginner" skill level. Yarn kits are detailed below.